Capanna al Lago is a fascinating 3 bedroom private villa right at Siena's door offering amazing views, great privacy, charming setting and a very spacious living area. 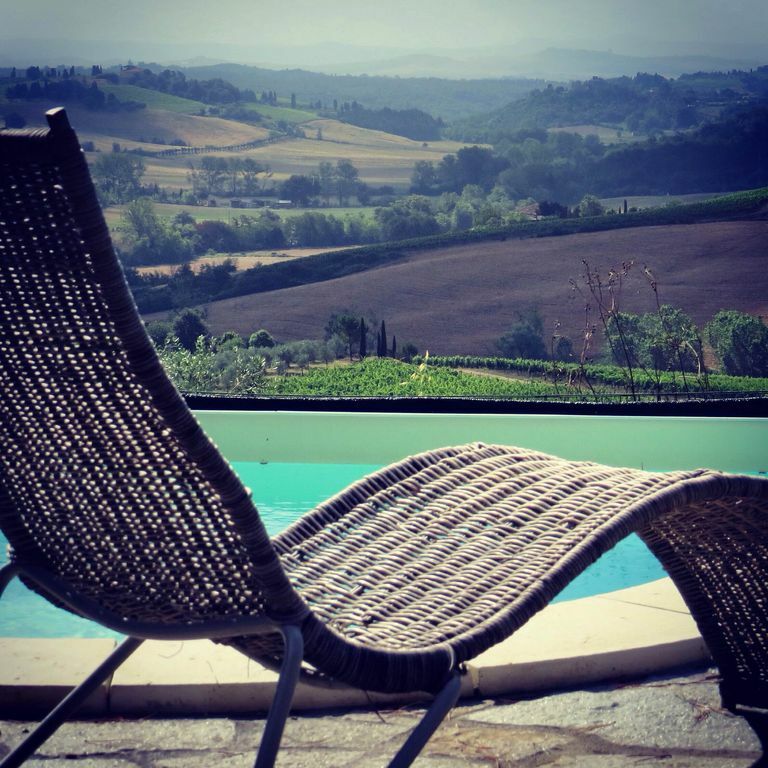 Set on the side of a gentle hill facing Chianti, Capanna enjoys lovely breezes throughout the year, making your stay pleasant in the shade of the large trees, whilst enjoying breathtaking views. The house is completely made of stone and surrounded by a spacious and well tendered garden 360° round. The house develops over two floor, with a very large living room with fireplace, kitchen, dining room and Toilet on the ground floor, Three double bedrooms, a bathroom with Jacuzzi and one with shower on the first floor. Bedrooms are equipped with air con. This Siena Villa rental is equipped with central heating and is an ideal base for winter holiday as well. The external hot tub is pure pleasure in all seasons, and the wonderful pool offers true relax with most outstanding views. The house is also equipped with wifi and all modern comforts. This Siena villa rental sits 10 minutes motoring from Siena and offers an ideal base for touring the province. A mere 10 minutes away from the Chianti hills, 5 minutes drive from the fast road, 5 minutes from the supermarket, bars, pharmacy, petrol station, bank. Because is a magic place: peace, great views on the chianti, but also close to civilization and to Siena, that is my birth town. we can take care to give you a car rental, private cheff, we can organize wine tours, cooking classes: we take care of our guests from their arrival for all they stay giving assistance for all the time.